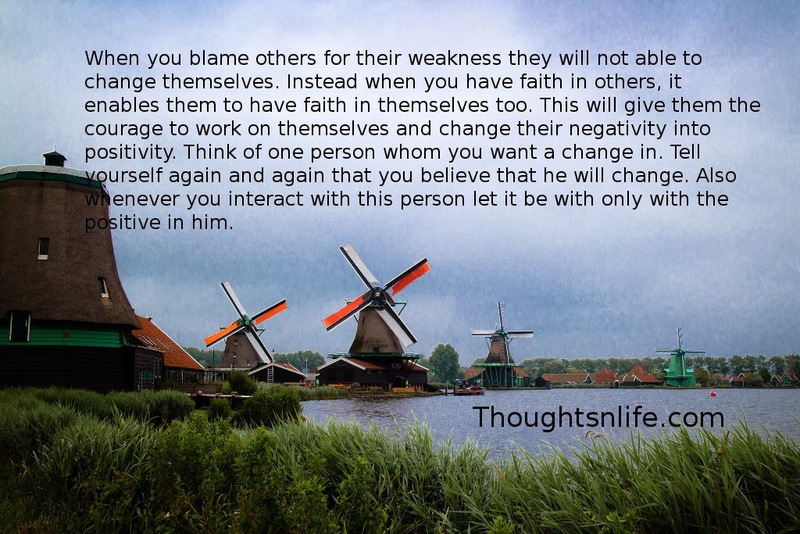 When you blame others for their weakness they will not able to change themselves. Instead when you have faith in others, it enables them to have faith in themselves too. This will give them the courage to work on themselves and change their negativity into positivity. Think of one person whom you want a change in. Tell yourself again and again that you believe that he will change. Also whenever you interact with this person let it be with only with the positive in him. ~ Brahma Kumaris, Mt. Abu.